Compliance West’s line of Leakage Current Networks are built in accordance with IECEE OD-5013, “Leakage (Touch) Current Measurement Instruments”; and are in compliance with IECEE OD-5014, "Instrument Accuracy Limits, specifically "Leakage (Touch) Current" Section; and IEC 60990. Our Leakage Current Networks use very accurate components which do not drift due to heat or age, and we specially trim each component in each leakage current box we make to be accurate. We test the devices to be accurate to 5% from 20Hz to 1MHz, and use metal enclosures to minimize interference. Read Pete Perkins' First Look Evaluation. Click here to watch a setup video. 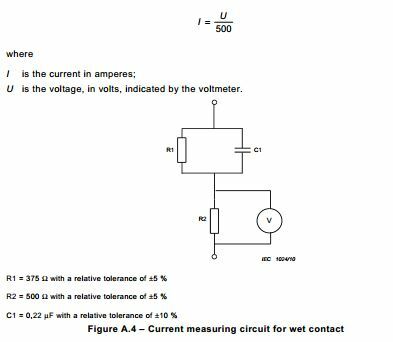 Resistors and capacitors have a tolerance of ±1%, verified during the calibration process. All components used are designed for low parasitic inductance and capacitance, and the physical layout of the components is optimized for higher frequencies. The metal box and ground plane of the circuit board are joined via solid contact to provide shielding of the network, and leads are shielded. A calibration report including frequency response is provided with each instrument. Calibration procedure to allow A2LA calibration from 20Hz to 1MHz is included, enabling any lab with sufficient scope to perform. 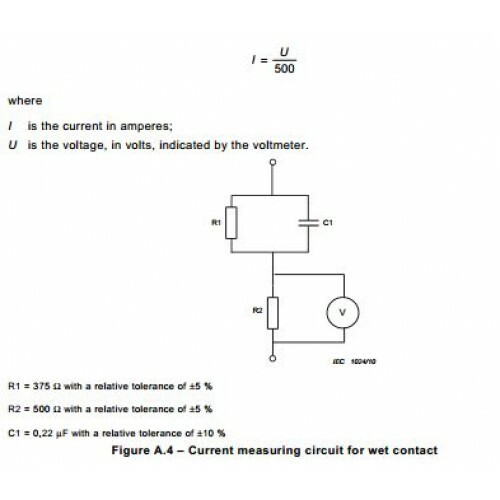 Click here to show a sample A2LA Calibration document from 20Hz to 1Mhz. Each box ships with the Leakage Current Network embossed on the front panel. Leads provided are alligator clips, and they can be changed to any desired configuration by the operator in the field. We provide Leakage Networks for most Standards. 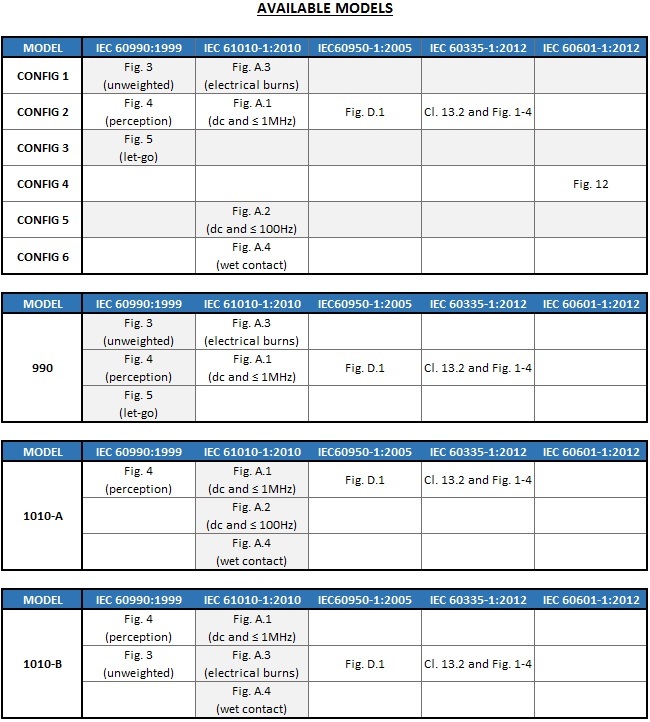 Provides networks for IEC 61010-1:2010 Fig A.4. Portable, lightweight. Measures 2.40 x 1.15 x 4.45 inches. No batteries or power required. Provided with NIST Calibration; A2LA calibration available. For specification information, please see Datasheet Link above.